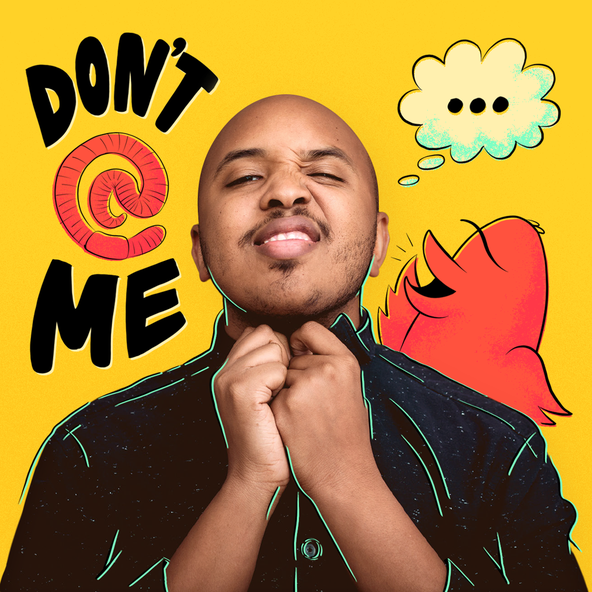 Last week was definitely a week to remember; with our spirits high during Passover and Easter, and our moods lowered as we approached tax day. It would be good, I thought, to tell you about a special artistic/literary event –– a public reading of the memoir of Auschwitz survivor Elie Wiesel (1928–2016), "who, more than anyone else, seared the memory of the Holocaust on the world's conscience." 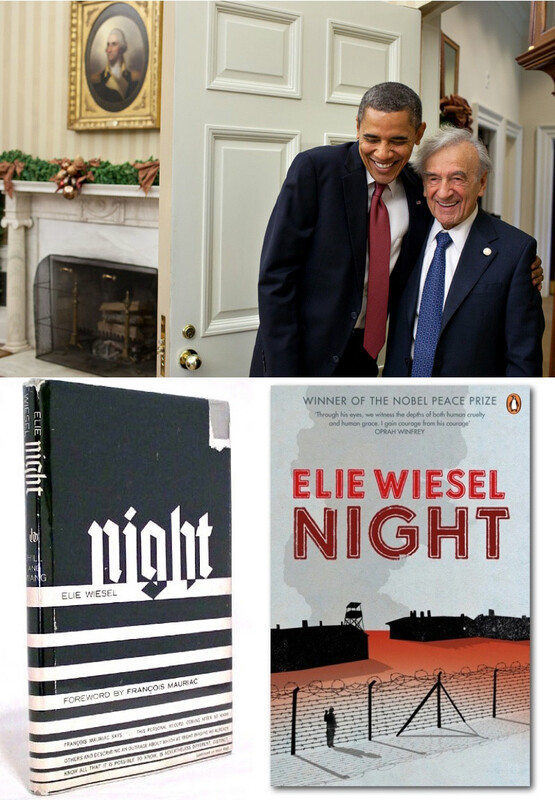 In commemoration of Holocaust Remembrance Day, a reading of Mr. Wiesel's memoir Night will take place this coming Sunday, April 23 at the Wilshire Boulevard Temple. In 1986, Wiesel was awarded the Nobel Peace Prize. 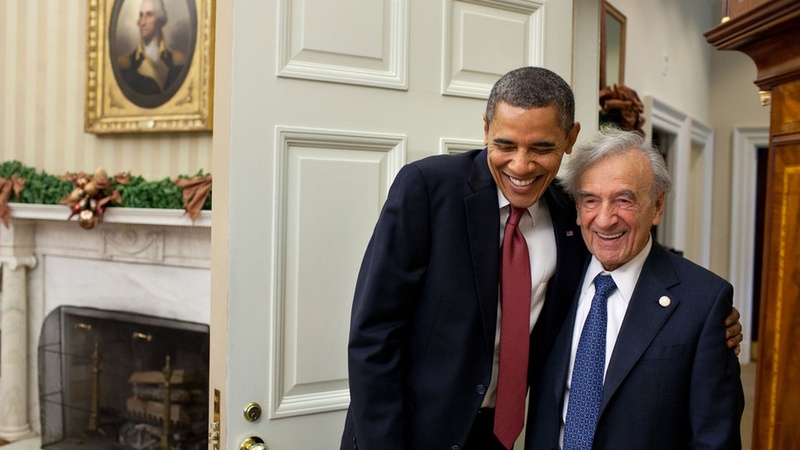 "President Obama, who visited the site of the Buchenwald concentration camp with Mr. Wiesel in 2009, called him a "living memorial." For two hours –– between 4 and 6pm, a very diverse group of people will each read a couple of pages from this memoir. Among them, well-known actors, journalists, politicians, religious and civil leaders including Tom Hanks, Rita Wilson, Kenneth Turan, Zev Yaroslavsky, Rabbi David Wolpe, and the list goes on. Needless to say, I am honored to be included in this group of readers. 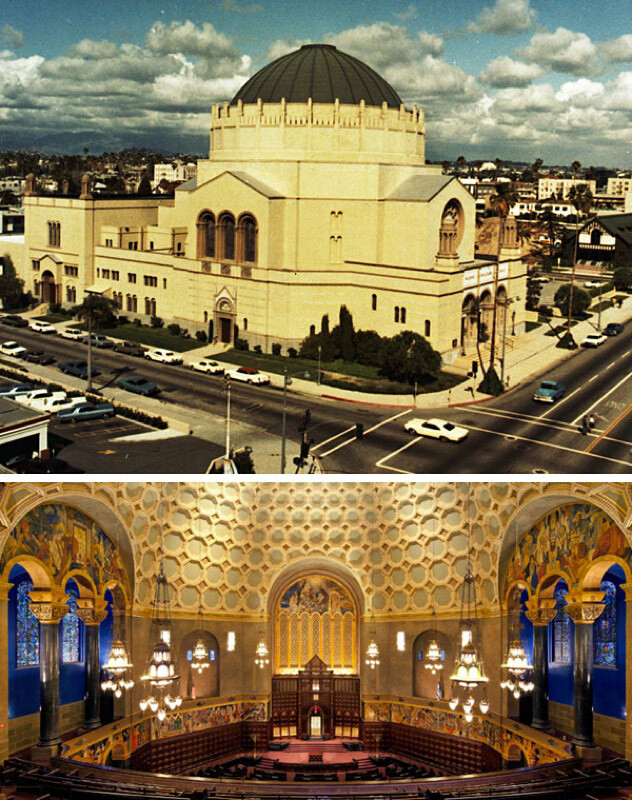 If you haven't been to Wilshire Boulevard Temple, this is a wonderful opportunity to experience this historical landmark –– a 1929 Byzantine-style building. It recently underwent an extensive restoration and you definitely will be impressed by its sumptuous architecture and the richness of its interior decor. The most unusual aspect of it is a 320 foot-long mural wrapping around the interior. This mural was commissioned by the Warner Brothers and was painted in a dramatic style reminiscent of Hollywood silent era movies. Installation view of the main gallery. 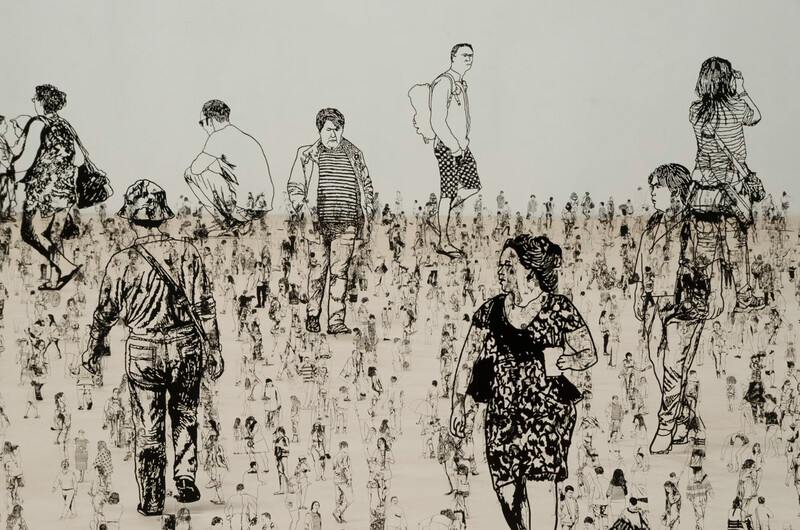 Zadok Ben-David, "People I Saw But Never Met"
And here's another cultural experience I'd like to bring to your attention: there's an exhibition by London-based Israeli artist Zadok Ben-David at Shoshana Wayne Gallery. And trust me –– there are plenty of things to look at there and wonder what they are and how they are made. To be precise: there are 3,000 flat miniature figures made out of aluminum, all of them stuck in the sand that covers the gallery floor. 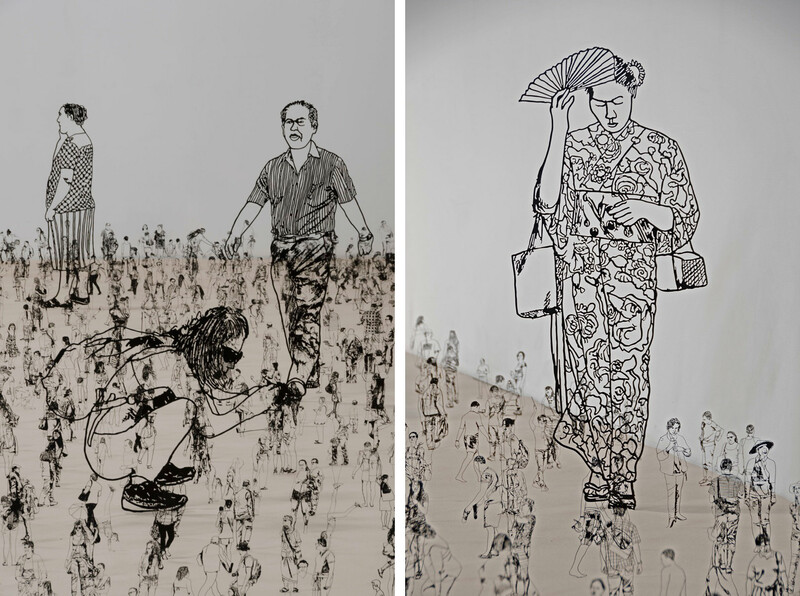 Works by Zadok Ben-David from "People I Saw But Never Met"
This exhibition is the result of Ben-David's numerous trips to Europe, the United States, Central Asia, Far East Australia, and Antarctica. While travelling, the artist took an endless amount of photographs, photographs of people he observed from a distance, and that's why his current exhibition is titled People I Saw But Never Met. My first impression was that there were no more than a few hundred sculptures placed on the floor of the main gallery. It's difficult to imagine the patience and logistics it took the artist to cut these 3,000 sculptures, each one an individual portrait of a particular person treated with dignity and respect. 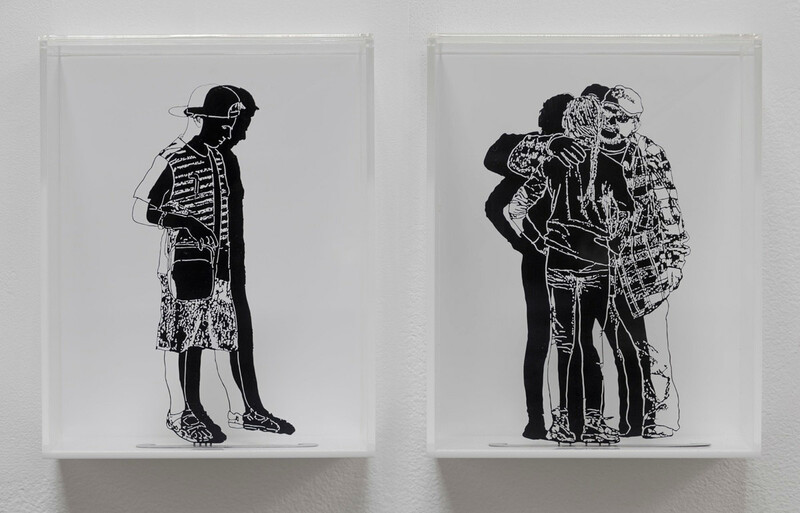 "Ben-David's accumulation of real-life global people suggests the ways in which we are both isolated yet always in relation to one another."